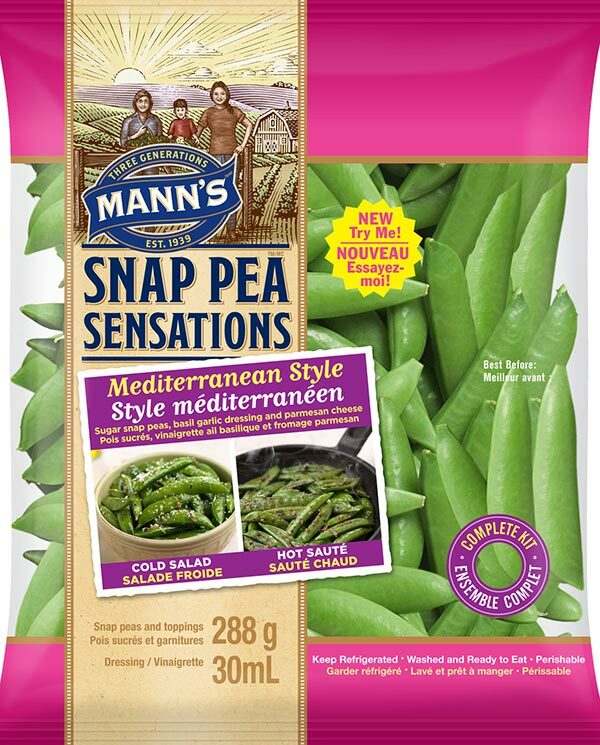 Early this year on January 19th, the Canadian Federal Inspection Agency (CFIA) issued a notice to recall Mann’s Mediterranean Style snap peas due to not declaring the presence of allergens, specifically mustard, sesame, soy and wheat in the toppings and dressing. The allergens were first identified by the manufacturer and they had immediately halted distribution to their exclusive Walmart and Sobeys retailers across Canada. Fortunately, there had not been any reported hospitalizations or deaths, but individuals with hypersensitivities were advised to dispose or return the product to the retailer. Given that the best before date was January 25th, remaining products should have reached the end of its shelf life by the end of the week. Food allergy is a health concern that should not be overlooked. According to Soller et al.’s cross-sectional study (2012), adverse reactions to one or more allergens were self-reported by 6.67% of Canadians. Unfortunately, these numbers are expected to increase (Hengel, 2007). Fact or Myth: Consuming processed foods reduce the risk of developing allergenic reactions. Adding to the complexity of allergies, food processing will interfere with the allergenic capacity. IgE antibodies tend to bind well to a particular region on antigens, known as epitopes. These may be linear amino acid chains or 3D conformational structures. The binding affinity of IgE antibodies may be reduced during processing. For instance, high heat denatures the 3D conformation and fermentation cleaves the amino acid sequences. At the same time, allergenic capacity may be promoted as some epitopes are no longer hidden by the protein’s 3D conformation and can bind to IgE. Additional structures and IgE binding sites may be created from protein and peptide modifications during processing. Overall, further studies are necessary to develop a clearer answer for processed foods. (Hengel, 2007). Given the importance of allergens and potentially life-threatening consequences, CFIA is enforcing mandatory labelling for the top 10 allergens: wheat, soy, peanuts, tree nuts, sulphites, eggs, seafood, mustard, milk and sesame. Food manufacturers also need to take precautionary measures to avoid cross-contamination at the plant and practice proper product labeling. Consumers should periodically review the list of product recalls on the CFIA’s webpage. While there are currently no approved treatments, individuals with severe allergies should follow a strict diet and carry an EpiPen in case of a sudden reaction. Overall, prevention and awareness are pertinent to reducing food allergies. What are your thoughts on the prevalence of food allergies? Do you think processed foods may be associated with the upward trend of food allergies? Check out the following references and video (particularly about unpasteurized milk from times 14:40-15:13 and parasitic worms on allergies from times 23:09-25:44). Hengel, A. J. (2007). Food allergen detection methods and the challenge to protect food-allergic consumers. Analytical and Bioanalytical Chemistry 389(1):111-118. Soller, L., Ben-Shoshan, M., Harrington, D. W., Fragapane, J., Joseph, L., St. Pierre, Y., Godefroy, S. B., La Vieille, S., Elliott, S. J. & Clarke, A. E. (2012). Overall prevalence of self-reported food allergy in Canada. 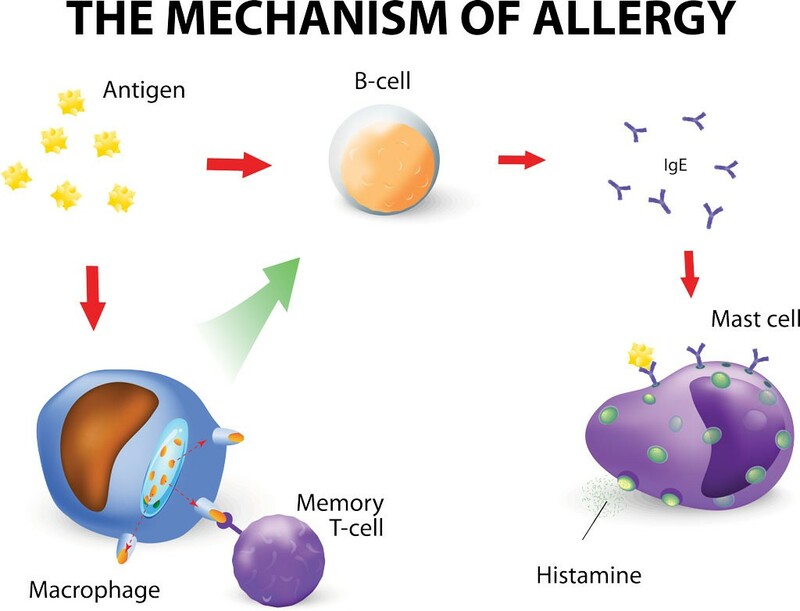 Journal of Allergy and Clinical Immunology 130(4):986:988. Taylor, S. (2006). The nature of food allergy. In S. J. Koppelman & S. L. Hefle (Eds. ), Detecting Allergens in Food (pp.3-20). Boca Raton, FL:Woodhead Publishing Limited, Boca Raton. Hi Jasmine, I really like how you were able to incorporate the topic of allergens into to your blog. Allergens are a major source of recalls, specifically undeclared allergens. It is good to see how proactive CFIA is with recall and was done so before anyone in the public was affected. It seems like food allergy seems to be increasing but It might be the fact that there’s better technology to help detect the cause of allergy in individuals. The list of allergens seems to be slowly growing, which may also increase the number of individuals who may have allergens. I think processed foods is associated with an upward trend of food allergies because many companies that process allergens may also use the same equipment to process foods without allergens. The residual allergen may be transferred into the second process. To prevent this properly cleaning and sanitation is essential. But the best solution would be having one process line with allergen containing food and the other one without. It is nice to see the CFIA being so quick to get this product off the shelves. 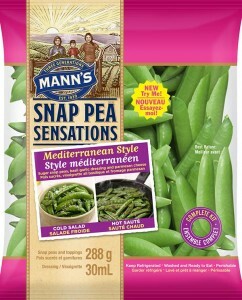 I feel with a product such as snap peas, many people would not assume there would be any allergens in the product. As we learned in class and as you explained above allergic reactions can be very severe and lead to death. It is just as important for the CFIA to be on top of allergen recalls as it is for food borne illnesses. Both types of illness can be extremely harmful to the public. Overall I hope in the future we can have more research on what is causing the upswing of allergens. I am very curious as to what is causing it, it may be an increased in processed foods or it may be something we have not even thought of yet. I would not be surprised if the increase of processed foods were in some way contributing to the increase in allergens. Since allergens can cause such severe illnesses or death as Jasmine mentioned above, it is kind of reassuring to know that CFIA is working hard and efficiently in taking products with undeclared allergens off of store shelves. I actually wonder how they found out about the undeclared allergens. Did the producer test their products for allergens or did they look over their production records for that day and found that they did not clean their equipment between switching from producing a product with allergen to a product without that allergen? I do agree with Colleen that during production, having one process line just for the allergen would be the best to reduce contamination. Even though a designated allergen line would cost money and not all processing plants can afford that which is why the cleaning process is so important for them. With all the undeclared allergen recalls that CFIA always has on their website, I feel that a designated allergen line in plants might be worth it because undeclared allergens is a very serious matter. As the incidence of food allergies seems to be on the rise, particularly in children, it is critical for allergen labelling to be strictly enforced. I feel that a designated allergen line could still have potential cross contamination within a plant. We often see products with labels such as “may contain [allergen]” or “processed in a plant that also uses [allergen].” It may be in the best interest of those with known allergies to avoid these foods altogether (though snap peas may come as a surprise). On another note, it is really interesting that you presented the fact of myth concerning the potential link between processed foods and allergy development. I also wonder what factors could be associated with the increase of allergens, whether genetically, environmentally, or even due to the changes in the foods we eat? In my opinion this is a very informative post. It is great to know that CFIA is so quick and efficient with the issuing the recall. Allergen in food had been a concern especially for parents with severe allergic children. I think that it’s great that the CFIA is strict on the labeling to ensure consumers health safety. However the factor we may need to bring to attention is the genetically modified foods. Genetically modified food consist of genetic material that wasn’t originally found in the food. This may alter the different protein that a certain food product can contain thus initiating a allergic reaction. I wonder how we could put a standard or have a regulations for this kind of foods. Interesting how you brought up that processing the foods may render them less likely to cause allergic reactions through changing protein composition (through processes such as heat etc.). This would explain why some people are able to eat certain foods they are normally allergic to as long as it is deep fried. One hypothesis at the moment as for why there seems to be a higher number of people allergic to foods may be due to over protection. This idea comes from the increasing amount of mothers keeping their children from being exposed to said products at an early age (thus not allowing them to build better immunological systems that can tolerate the food proteins). Therefore popular foods associated with allergies in certain demographic areas (ex. peanuts in the west) will be avoided most often, this may end up bringing adverse effects and perpetuate the development of food allergy that one is trying to avoid. I don’t know how true this idea is, but it makes you re-think what to give children to eat. Great article! I also found it interesting how processing can change the allergenic potential of food. I think this would be a good area for further research since food allergies can be so severe and life-threatening, and it’s easy to get accidentally exposed if you’re not the cook or really diligent about reading labels. I think one problem with processed foods is that they can be quite complex and contain many different (and sometimes unusual) ingredients, so I think it’s good that the CFIA enforces labelling for the top 10 allergens. As we learned in this course, food allergy would be fetal sometimes, so it is very critical to state all the allergens in the food product, especially for those highly processed foods. Sometimes the ingredients in the dressing or sauce, or even contacting with other foods in the same production environment will cause food allergy for the consumers. Comparing to food safety, food allergy does not have very strict rules for the manufacturers to state every allergen that might be possible contained in the products so sometimes it might be a big concern for costumers, especially for children and infants. Since food allergy is not dose related, even a very small amount of the allergen may cause very severe results. However, according to your post, CFIA recalled the suspected products before any hospitalizations or deaths happen. In my opinion the food inspection of CFIA is very sufficient in this way. Food allergy is very prevalent to those who are not able to develop a clinical tolerance towards the food protein that has been ingested. Failure to develop a clinical tolerance will lead to a series of hypersensitivity reactions which can be be potentially life-threatening if not treated immediately. Besides, the application of food processing as mentioned above has the ability to interfere with the binding of the antibodies to the antigens. However, more research should be done to further confirm the effect of food processing in the allergenic capacity. As for now, I personally think that both labeling of the food allergens and listing out the ingredients in the food product are very effective to inform consumers on the presence of allergenic compounds in the food product. As learnt in other courses as well as in this course, allergens indeed can induce many severe or fatal issues and contamination of these foods with allergens would definitely require a recall. Thankfully in Canada CFIA is quick to react and is helpful in facilitating recall of these food items. The consequences of food allergic reactions can range from mild to severe; I’ve seen red spots and rashes developing on people’s skin after ingesting these foods with allergens. Also it’ interesting to know that food processing steps can expose the epitopes promoting the binding with IgE. However, the processing can also decrease the IgE binding affinity with antigens. Besides the food processing procedures, I wonder if there are other factors that can potentially bring in allergens from other food sources and how these outbreaks associated with allergens can be traced. First of all, it is great to know that CFIA and the manufacture realized the problem very quickly and issued the recall so efficiently that there were no reported hospitalizations or deaths. This is a very informative post that introduced a lot of information related to food allergen, and I really like the subtitles that makes the post very clear and organized. In addition, I like the discussion about how food processing would alter the allergenic potential of food in various perspectives.